Norges Bank raised its key policy rate on Thursday in a move that was widely expected but also debated. Norway’s central bank board ultimately decided that economic growth is stronger than expected, and the country’s currency immediately strengthened on the news. The quarter-point rate rise to 1 percent was modest and at least may cheer those with savings accounts that have been earning pathetic amounts of interest. Borrowers are likely to see Norway’s banks respond quickly to the rate rise, with mortgage rates set to move up and possibly cool the real estate market at the beginning of the busy spring season. The value of the Norwegian krone, which has been unusually weak lately, jumped when the interest rate rise was announced. It recently cost as much as NOK 8.80 to buy one US dollar. 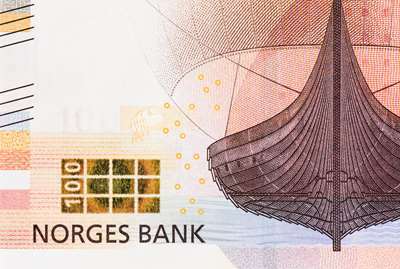 It cost NOK 8.42 within a half-hour of the rate hike announcement on Thursday. The key phrase in the board’s defense of its quarter-point rise was its evaluation that “the upturn in the Norwegian economy appears to be stronger than anticipated earlier.” The bank clearly wants to control that while also seeing the economic strength better reflected in Norway’s currency.